I was reprimanded as a high school student when, in a journalism class, I took a photo of our theater arts teacher applying makeup to a young actor before a play and replaced the actor’s head with a separate photo of the same teacher. So the photo now had the teacher applying makeup to herself while she sat in a chair. One of my fellow journalism students wrote a caption across the bottom of the photo: "Cloning reaches new heights.” We posted it to the journalism room door. It made us famous amongst our fellow students for about 24 hours. That is when the principal of the school saw it and all the fun ended. 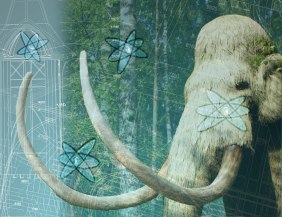 You might have heard the announcement this past week that scientists found living cells of a wooly mammoth frozen in Siberia. This news story went viral and has raised hopes of clone heads pining for a Jurassic-Park-like cloning procedure which would actually resurrect the hairy pachyderm from extinction. If we had only had the foresight to send out a press release saying that a high school teacher had cloned herself, along with our doctored photo, we too might have gained worldwide fame. Before you start yielding at wooly mammoth crossings in your neighborhood, let’s take a look at what makes a good news piece about your company. The purpose of a press release is to get accurate, newsworthy information into the hands of the media, so they can, in turn, write an article or broadcast a story with the information. With today’s connectivity, that has taken on a new dimension. Press releases are tweeted, put on social networks as status updates, eblasted and so on. They are out there in spades! In this day of information overload, what gets noticed and what is ignored? There are a few old journalism guidelines that should be adhered to when writing a press release that should help you. First, a press release is about one idea, not two or more. If you have more than one piece of news to share, save the second idea for another press release. For instance, if your company just raised $100,000 for a local charity and you are going to hire 100 more people, do not try to tell about both in the same story. Simply keep it to the point. A catchy headline is really important. It is what will be seen first. Based on what it says, the reader will determine whether to read on or ignore your press release. The headline should state the one idea in a few words. There is nothing worse than a headline that goes on and on. Pay careful attention to the verbs you use in your headline. They should be full of action. For instance, "XYZ Corp Supports ABC Charity” is a pretty blasé headline. "XYZ Corp Shatters Giving Record for ABC Charity” is a much better headline. Would you rather read about a company that "supports” or "shatters” giving records? In my high school journalism class, they taught us to write leads. This is simply a summary paragraph that begins the article. The idea is that if you read the lead on every article in a newspaper, you would have a summary of the entire article. This tells the story within the story. Think of it as a tweet. A good lead will tell you the facts: the who, what, when, where and why within a few sentences. It does not get involved in the details; those are left for the subsequent paragraphs. Having a statement from either someone related to the story you are telling or from a leader within your company (or both) is a good device to use in a press release. Make sure you are clearly identifying who made the statement and what their title is or the connection they have to the story. At the end of the article, give information on how the reporter can make contact with the person being quoted. They may want to ask more questions. A good press release gives information for follow up queries. Likewise, give contact information for the business. Where are you located? What is your address? What is your web site address? The two most important factors in getting your press release picked up are newsworthiness and timing. Does the public really care about the information you are sending out? Finding a wooly mammoth in Siberia is nothing new. They have been finding their bones for centuries. As absurd as cloning a wooly mammoth sounds, it makes the story newsworthy. Timing is everything in news circles, especially when it is broadcast via the internet as soon as it happens. Sending out a press release with yesterday’s date on it is akin to eating last night’s dinner that was left out on the table for you. News ages quickly. Make sure what you are sending is timely. Does it pay to send out press releases? Yes. From a marketing perspective, it keeps your name in the media in a positive light. It lets your clients know important information about you and you can control what is said and how much information is released. Keeping your company in the forefront of your clients’ minds is what awareness marketing is all about. You may not be cloning cells from an extinct behemoth, or your high school teacher for that matter, but letting the marketplace in on timely, newsworthy information about your company makes good marketing sense.